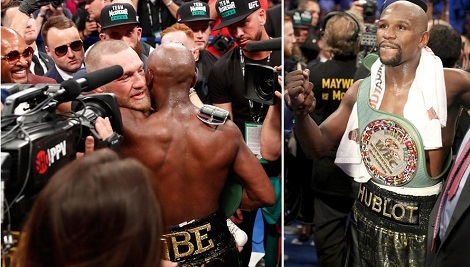 The superfight is finally over - and overwhelming favourite Floyd Mayweather unsurprisingly beat Conor McGregor. In his first ever match, McGregor survived 9 rounds against Mayweather but visibly tired as the boxing expert's nous started to tell. The now 50-0 champ Mayweather won on a TKO in the tenth when the referee stopped the fight with McGregor on the ropes. » Conor McGregor Parties Hard After Fight, You Would Have Thought He Won!! !